If you love your wine and are looking for the absolute perfect wine to pair with your seafood dish. Then you have come to the right place. 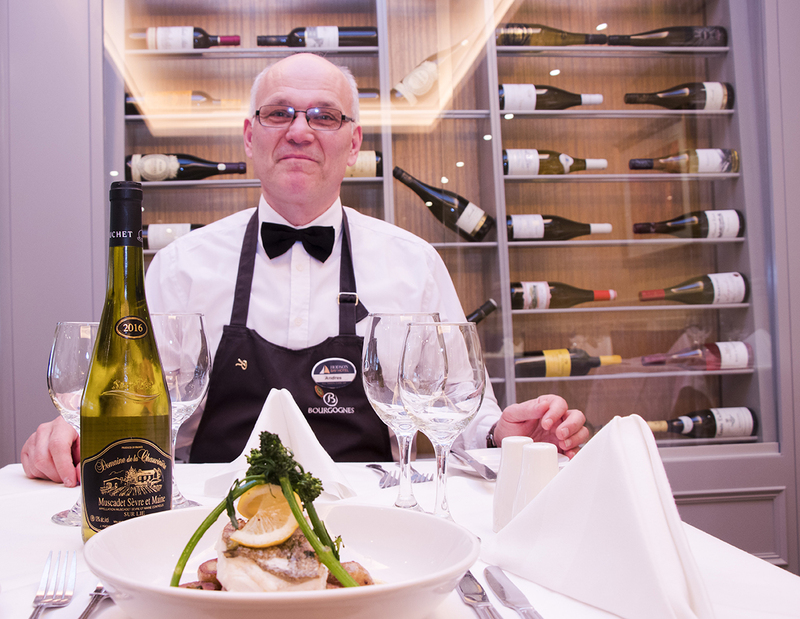 Our hotel groups Head Sommelier, Andrzej recommends the pairing of Muscadet Sèrve-et-Maine wine with our juicy Atlantic Hake dish. True Muscadet is like a sharp squeeze of lemon, which is why it also goes so well with seafood dishes. Muscadet wine like most white and sparkling wines goes through lees fermentation giving the wine an aromatic intensity and richness of flavour. Besides the added textural creaminess, the release of fatty acids (which come from the breakdown of the yeast cell wall) adds to the aromas/flavours of the wine. Lees are leftover yeast particles from autolysis. Autolysis is the self-destruction of yeast cells by enzymes created from fermentation. Lees add beneficial textures and flavours to white and sparkling wines. Since Muscadet vineyards are close to the Atlantic Ocean the wines also carry a saline-like quality due to salty breezes. When it comes to our Atlantic Hake dish, the saline-flinty minerality is matched by the saltiness, seaweed flavours of the Atlantic hake. You will enjoy the natural creaminess of the fish paired with the creamy texture created by the lees fermentation. 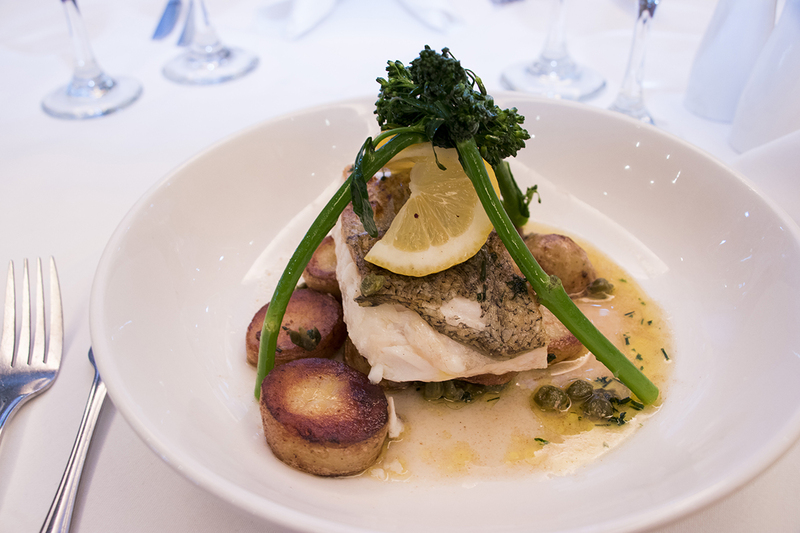 Our Atlantic Hake dish is accompanied with broccoli and buttered capers which also helps to enhance the flavours. Look out for Muscadet’s that are labelled ‘sur lie’, rather than just plain Muscadet. The label with ‘sur lie’ means the wine will have extra complexity from being aged on its lees fermentation. Light bodied white wines like Muscadet are perfect palate cleansers due to their naturally high acidity. It offers you and your dining guests a deliciously balanced combination. The more you learn about food and wine pairings the more you appreciate your dining experiences. 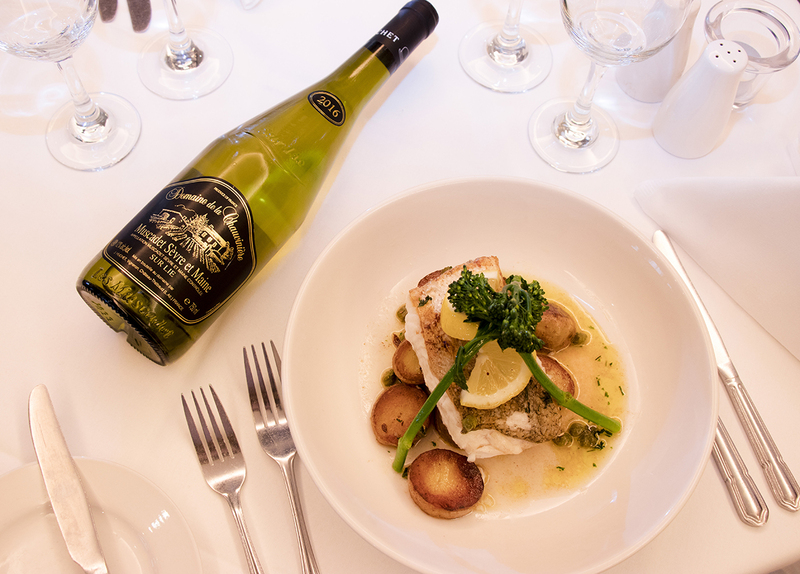 We hope when you stay or just book for dinner you will enjoy a glass of Muscadet Sèrve-et-Maine and our Atlantic Hake. They are a perfect pairing. Nose: Floral and fruity, with occasional mineral notes. Muscadet Coteaux de la Loire often have flinty aromas while Muscadet Côtes de Grandlieu can be more floral. Flavours: Light-to-medium-bodied with freshness, often floral and fruity notes and crisp acidity. 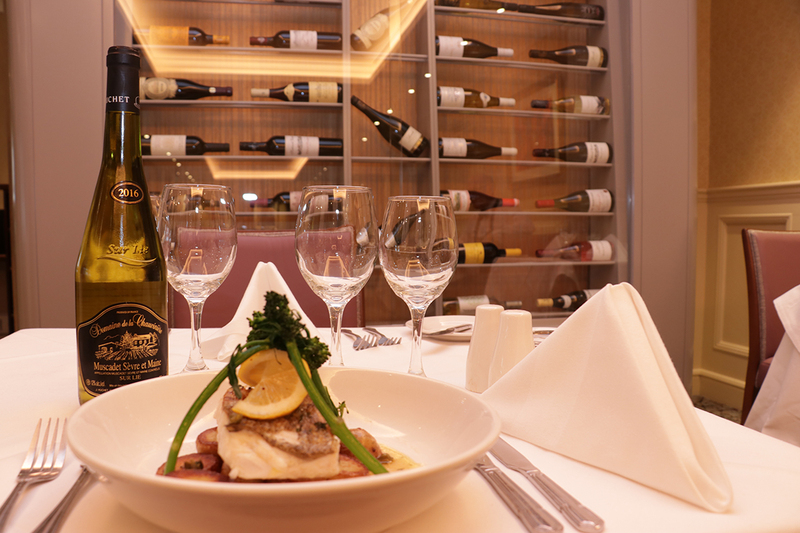 Atlantic Hake, L'Escale Restaurant, seafood, seafood wine pairing, wine and seafood. Bookmark.